Loose Leaves Publishing, 9781624320149, 302pp. Kodiak and Polar bear have interbred for generations on Ghost Bear Island. Native lore tells of their extraordinary blend of color, size and bone-crushing power. 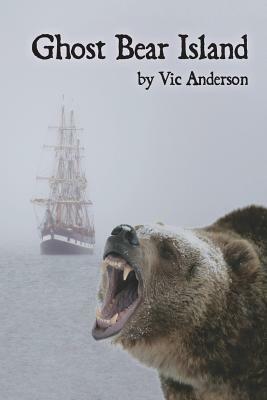 When Merritt McDonald comes ashore at Old Harbor, Kodiak, Alaska, he has left behind his medical practice and is ready to become a trapper. He pairs up with a native, Billie Valinchenski, after finding him mauled by a bear and near death. With no cash, Jenny Smit travels to Alaska, where she is hired on as cook at an inn. Before long, she finds herself married to Merritt, and living an isolated life on an island. She adopts an orphaned coyote for company. Merritt, Jenny and Billie face volcanic eruptions and a thieving gang of cutthroats while they learn firsthand the truth behind the legends of the ghost bear. Never leave your cabin unarmed.